A blogger named Paul Francis went to the trouble of gathering Facebook user data via an advertiser tool that facilitates audience targeting. 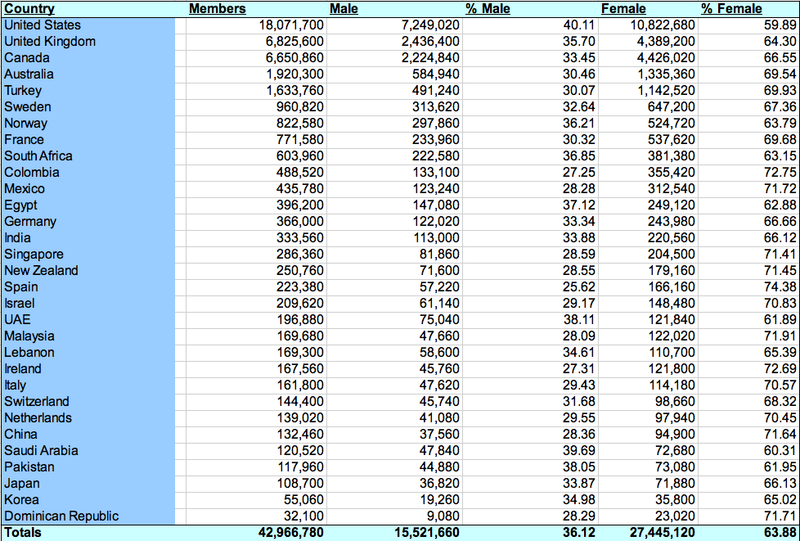 He pulled user numbers for the top countries, broken down by male/female. The data set is here. The tool shows a total of 42,966,780 members in the top 31 countries. The U.S. leads with just over 18 million users, followed by the UK (6.8m), Canada (6.7m), Australia (1.9m) and Turkey (1.6m). Forty percent of U.S. users are male, compared to 36% overall. 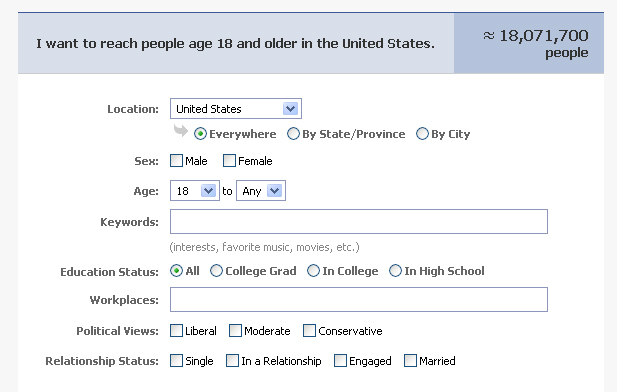 Men looking for love may want to try Ireland or China, where 73% and 72% of users are female, respectively. Other than the U.S., which has the highest percentage of males, the lowest percentage of female users is in Saudi Arabia, Pakistan, UAE and Egypt.